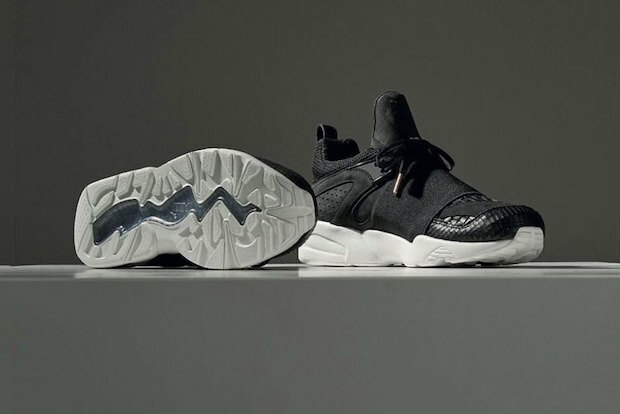 Today we get a first look at The Filling Pieces x Puma Blaze Of Glory collaboration. This outstanding new collaboration finds the signature Puma design getting reworked with some exceptional details and co-branding. The Filling Pieces x Puma Blaze Of Glory collaboration features premium nubuck and leather in tonal black design along the upper. Have a look at the unique new kicks in the images below and speak your thoughts on it after the jump. The shoes are slated to drop on July 22nd at select Filling Pieces retailers worldwide. Stay tuned!